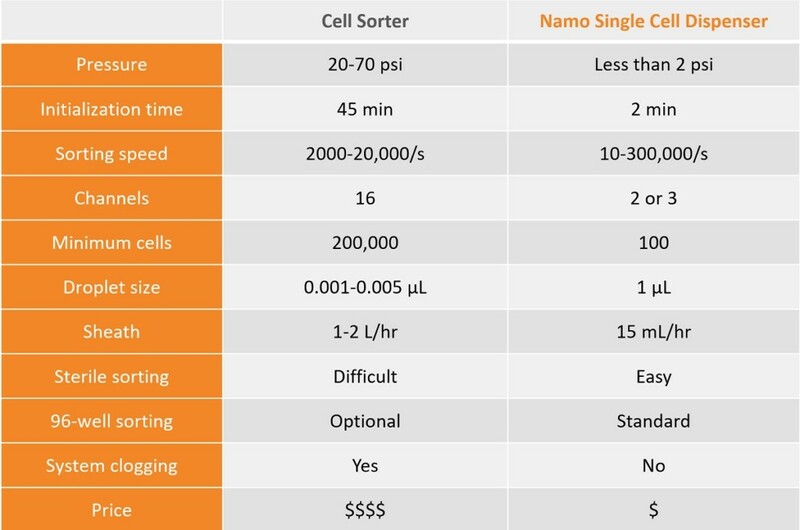 The Namo Single Cell Dispenser uses fluorescence signals to sort and dispense single cells. 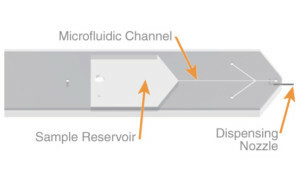 Namocell’s proprietary microfluidic technology enables very fast sorting and dispensing single cells. 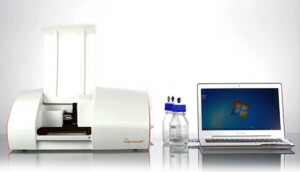 It simplifies and empowers a number of single cell applications, including cell line development, single cell genomics, monoclonal antibody isolation, CRISPR selection, synthetic biology, circulating tumor cells (CTCs) isolation and circulating fetal cells isolation. It is affordable, user-friendly, and requires almost no training to operate.